I read this article and thought it was brilliant, thought it might be something for you. 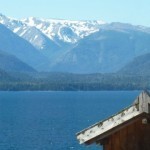 The article is called Bariloche, Argentina and is located at https://timeasatraveller.com/bariloche-argentina/. There’s one way into Argentina by road from Pucon in Chile. And it consists of a 4 hour bus ride south to a town called Osorno, a 3 hour wait, then a 5 hour bus ride to Bariloche and one border crossing. Being so use to travelling by night, I initially wasn’t too keen on having to do it all during the day, but I hadn’t taken into account the the views. The drive from the Chilean border through to Bariloche was absolutely stunning. Snow capped mountains, lush green valleys, and pristine lakes (note: ‘snow capped’ ‘pristine’ ‘lush’ three descriptives you’ll be hearing a lot in the next few weeks… there are only so many ways something can be said in words… the rest must be felt.) This was only a taste of what was to come, my intense love of Chile now stretched to Argentina. Bariloche could easily pass as a town in the Swiss Alps. Never before have I felt further from the crowded capital cities of South America as when I arrived here. Bariloche sits on the edge of Lago Nahuel Huapi at the top of Patagonia in Argentina. It’s insanely… lovely. 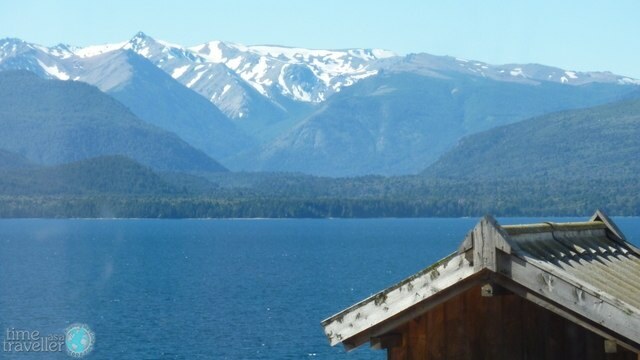 Not the most descriptive word I know, but Bariloche is incredibly… lovely. The type of lovely you could sit and happily twiddle your thumbs in just to be in it’s presence… that type of lovely. The lake is crystal blue in colour, and stretches for more than 100km. Snow capped mountains rise up from the far side and reflect in the water… and you can just sit and breathe it in. Our hostel afforded an amazing view, I could lay on my top bunk bed in room 7 at TangoInn Downtown Hostel and stare out at the view for hours. Or alternatively, watch it from the hot tub. Yes, this hostel had a hot tub! It was one of the friendliest hostels I’ve stayed in yet, which happened to coincide with there being loads of travellers and no groups of clicky cool kids … they don’t seem to make it down this far, which adds to the appeal. While in Bariloche I made a bunch of friends, went for a day to Cerro Campanario which has some of the most stunning views in the world (national geographic agree), went on a 3 day hike (which deserves it’s own blog entirely), and had the best steak of my life to date. There’s a restaurant in Bariloche, it has the best steak in town and is a must for any traveller. Doesn’t really help that I’ve forgotten the name. The chef comes to your table and asks how you’d like your steak to be cooked. It arrives cooked to perfection… For a short while I saw heaven heaven… and it took the form of medium rare on a wooden chopping board.